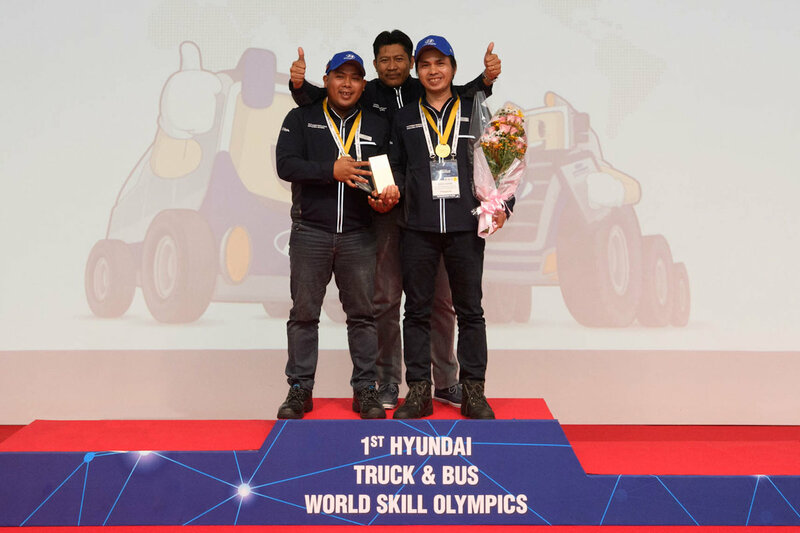 Hyundai Philippines’ After-Sales Service team was crowned champion of the first Hyundai Trucks and Bus World Skills Olympics (WSO), held last October at Hyundai’s Global Learning Center in Cheonan, South Korea. This triumph follows the Philippine team’s previous accomplishment of bagging gold at the World Skills Olympics - Asia and Pacific Leg, held at the Hyundai Logistics Center (HLC) in Calamba Laguna, last July. Gary Junio of Hyundai Commonwealth and Mark Eric Rellosa of Hyundai Cainta took home the trophy after battling it out with expert technicians from 13 countries. Teams participated in practical and written challenges designed to test the competitors’ knowledge of Hyundai truck and bus repair and maintenance. China finished the competition in second place, with Myanmar rounding out the top 3. 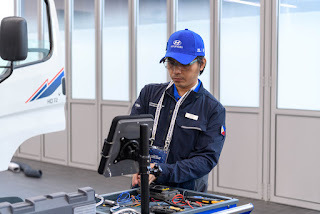 The winning combination of Junio and Rellosa came together for the Asia and Pacific leg of the WSO after a selection process to find the best and brightest Hyundai technicians in the country. The technicians then underwent dedicated training at HLC for two months before the regional competition. After their victory, Junio and Rellosa continued training at HLC until they flew to South Korea in October. customers are still unhappy with hyundai philippines maintenance costs. Title should be "hari Philippines after sales service PERSONNEL won international hyundai olympics"